We're very early in this space. This was one of our first big attempts. We've been testing Buzz internally at Google for a while. Of course, getting feedback from 20,000 Googlers isn't quite the same as letting Gmail users play with Buzz in the wild. If it becomes clear that people don't think we've done enough, we'll make more changes. That's what Todd Jackson, Buzz product manager, told BBC News. Google only tested this thing internally, and didn't put the service through the Google Trusted Tester program, like they have done with other services in the past. 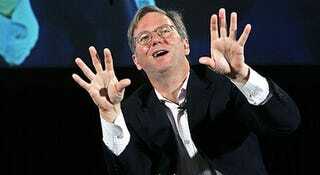 He also admitted that tens of millions of Buzz users were "rightfully upset" and that Google was "very, very sorry." Todd's right, but I don't think all those "tens of millions of Buzz" ex-users would care about the too late apologies. They do care about the privacy problems and the inbox spamming.